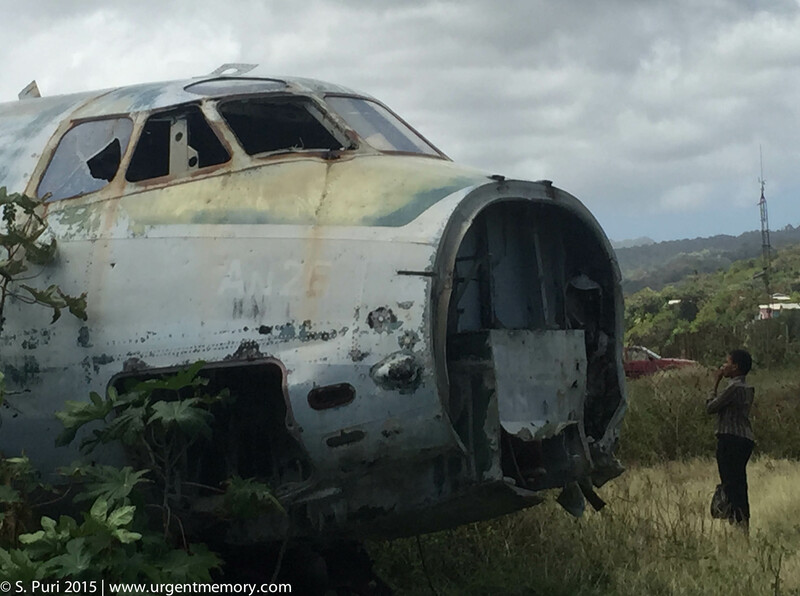 This March while I was in Grenada to launch my book, I went as usual to see the planes that still lie at the old airport at Pearls from the time of the Revolution. A young boy walking by also began to contemplate them, circling around them, peering in, looking up at the wings. Author: Why do you think these planes are here? Boy: They crash? Maybe they run out of fuel and lose control. They land, they bump up, and crash. Author: And you think it happened how long ago? Author: Why do you think twenty years? Author: Oh, okay. So what do you think, what are you wondering, when you’re standing there looking at those planes? Boy: What happened to the passengers or the pilot? 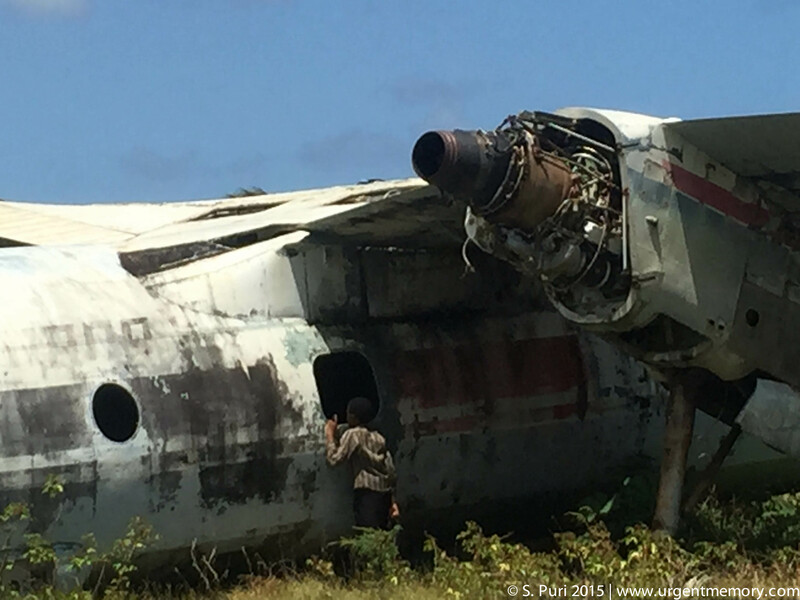 Author: So you were wondering what happened to the passengers or the pilot? Author: Okay. So, actually, from what I understand, the planes have been here since 1983. You know of anything that happened here in 1983? Author: After the Grenada Revolution, the U.S. came in. This used to be the old airport at that time. They were still building the new airport. (See — that’s the old runway where the planes used to land.) So luckily nobody crashed, but … these planes were left here after the Revolution… One of them was going to be used, I think, to spray crops. But I don’t think they ever used it, because by that time the Grenada Revolution fell. Have you heard about the Grenada Revolution? Boy: I might hear as I grow up. …. Do you have any questions you would like to ask? Boy: If you can say what happened to the people on the planes?